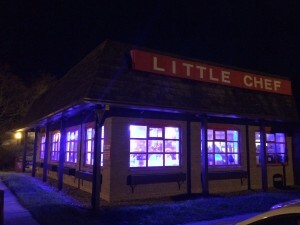 And so it was that a most unusual and innovative venue was chosen for a valued employee of a Commercial Vehicle company, who always planned his journeys around visiting ‘Little Chef’ restaurants! 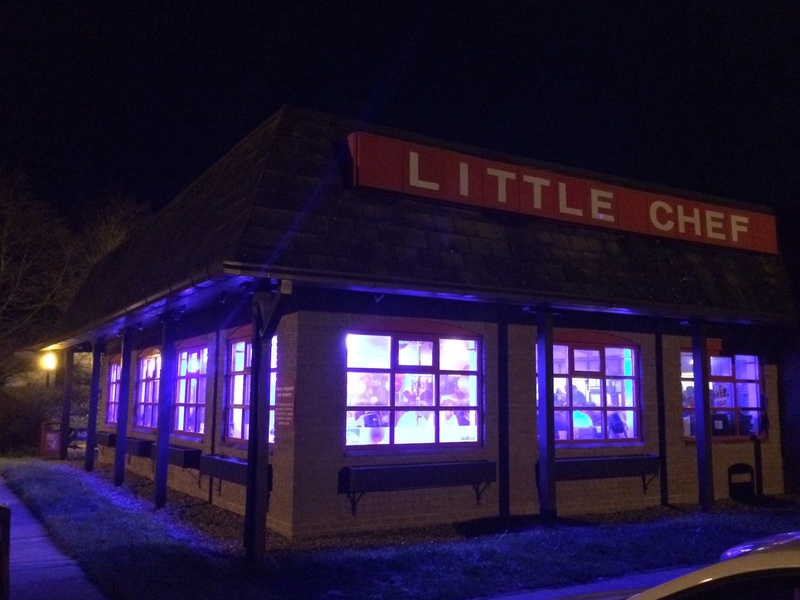 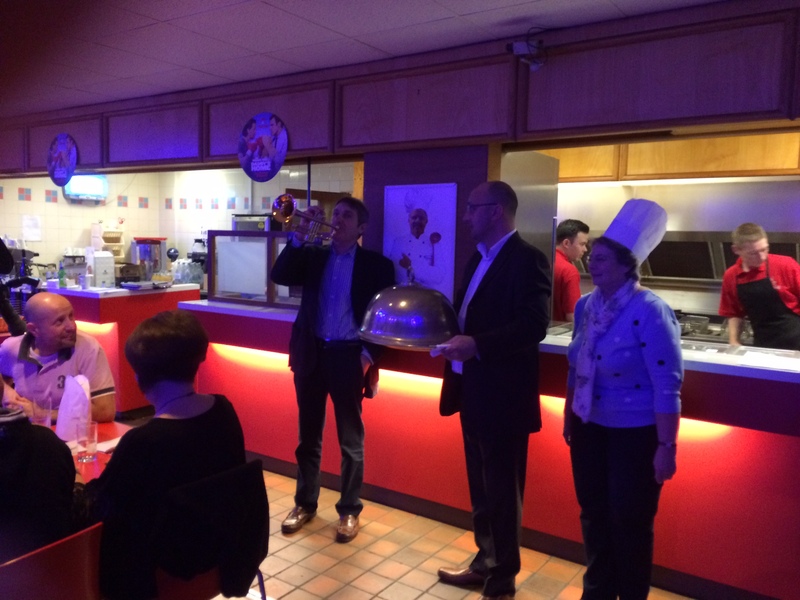 On Thursday evening we took over a Suffolk Little Chef; with excellent service from staff and managers brought in from around East Anglia, some superb lighting and sound system to enhance the location, entertainment in the form of a quiz with the Specialist Subject being ‘Little Chef Restaurants’! The VIP guest even managed to polish off a triple Olympic breakfast presented under a silver cloche with a live trumpet fanfare! 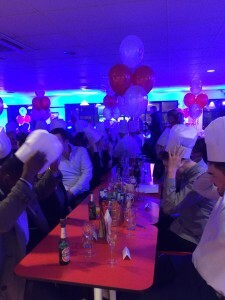 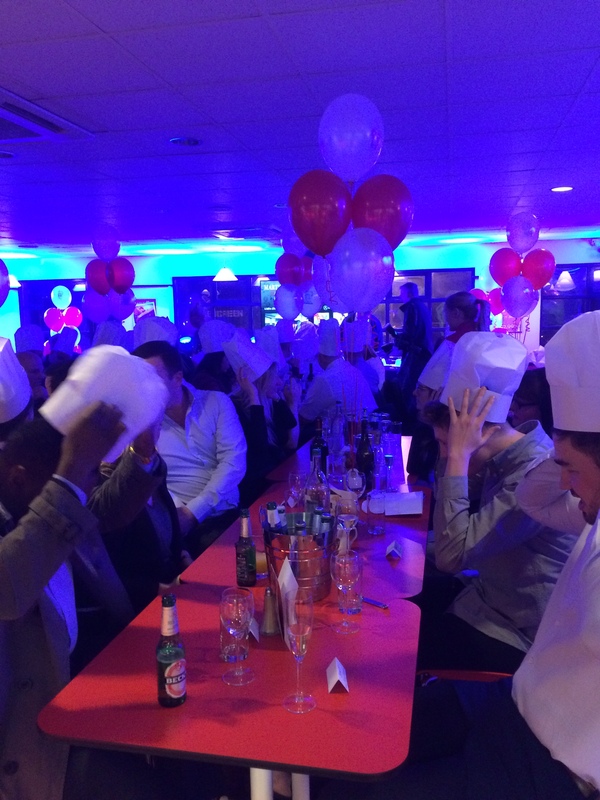 Guests wore chef hats at the Little Chef!